In the gemstone trade we have a very simple way of rating the hardness of different gems. It's called the Mohs scale, and it assigns a number from 1 to 10 to each gemstone variety. On the Mohs scale, 10 is the hardest and is assigned to diamond, then the list goes down through sapphire and ruby (9), chrysoberyl (8.5), topaz and spinel (8) to quartz (7) and the softer gems such as sunstone (6), apatite (5), fluorite (4) and calcite (3). 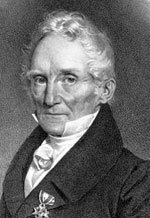 Friedrich Mohs, a German mineralogist, developed this rating system back in 1821. It measures hardness by testing scratch resistance. Minerals are compared by testing which materials can be scratched by others. The result is a ranking of materials, starting with the hardest, diamond, at 10. The scale is relative, so it tells us that diamond is harder than sapphire, and sapphire is harder than topaz. But the Mohs scale doesn't really tell the whole story of gemstone hardness. For one thing, it doesn't tell us how much harder one gemstone is than another. For another, it doesn't consider any of the other parameters of durability, such as cleavage and brittleness. The relative differences expressed by the Mohs scale are in fact quite variable once absolute hardness is measured. Diamond (10) is actually about 4 times harder than sapphire (9), but sapphire is only twice as hard as topaz (8). While topaz is also twice as hard as quartz (ranked 7th), quartz is only 25% harder than orthoclase (ranked 6th). Some gems have perfect cleavage along one or more planes, and can be split with a single blow. Gems in this group include some very hard materials, such as diamond and topaz, as well as some softer gems such as tanzanite, kunzite and fluorite. Ruby and sapphire are notable for having no cleavage at all, a property they share with all the quartz varieties as well as jade. Most gems are brittle, meaning they will fracture into a powder or small crumbs if hit with a hammer. A brittle gem will also leave a fine powder if scratched. But some gems which are not particularly hard are nonethless very durable because they resist fracturing. The most notable cases are nephrite and jadeite, the two varieties of jade. While nephrite has a hardness of 6 to 6.5, and jadeite a hardness of 6.5 to 7, both are very tough materials due to their internal structures which resist fracturing. 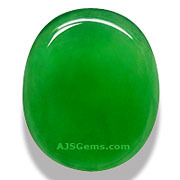 Nephrite, in particular, is very strong due to its fibrous crystals which interlock in a matted texture. Jade will often outlast harder gems, though an occasional repolishing may be needed.